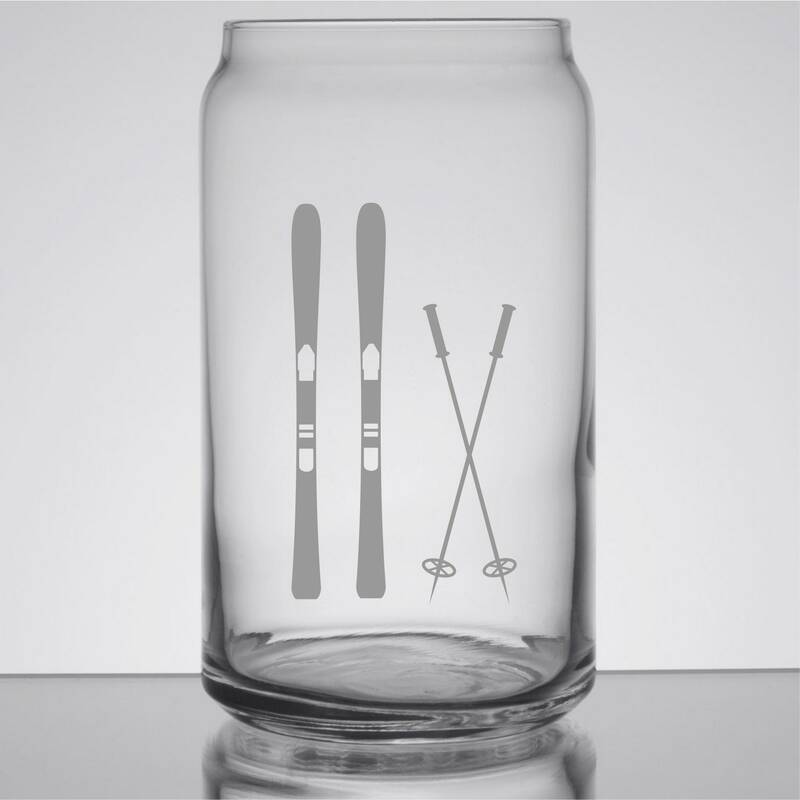 Our 16 ounce laser etched can glasses make a great multi-purpose glass. These are trendy and can be used to hold a lot of different beverages including beer, mixed drinks and iced tea. 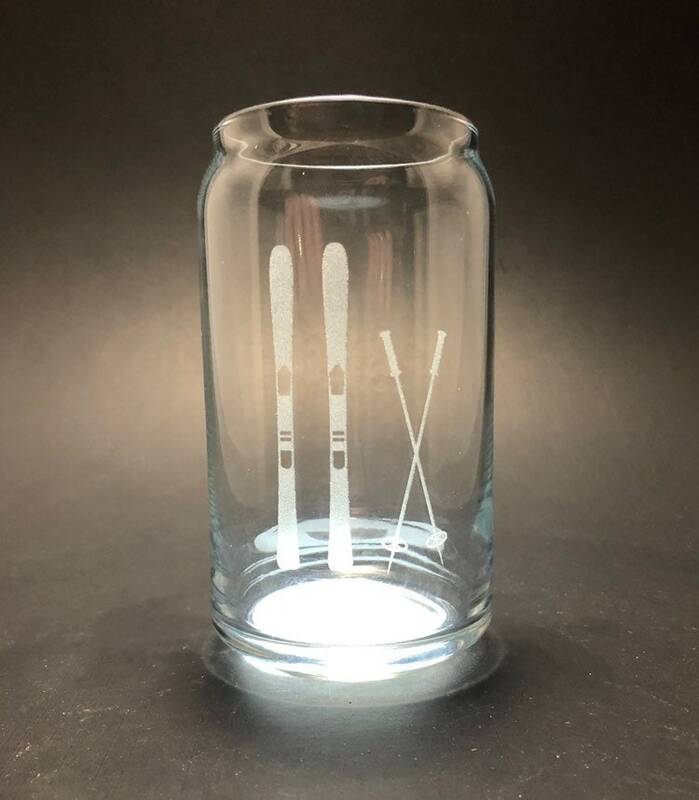 This glass comes with Skis and Ski Poles laser etched into it. A simple yet effective design to represent what your passion is. The design is permanent and dishwasher safe.